Apple is still working to add public transit data to its Maps app, after the long-rumored feature failed to appear in iOS 8. A company job posting, spotted by AppleInsider, seeks someone with “in-depth knowledge about public transit,” from both technical and rider standpoints. “As a member of the Routing team, you will work on one of the most anticipated features of Apple Maps,” the listing says. 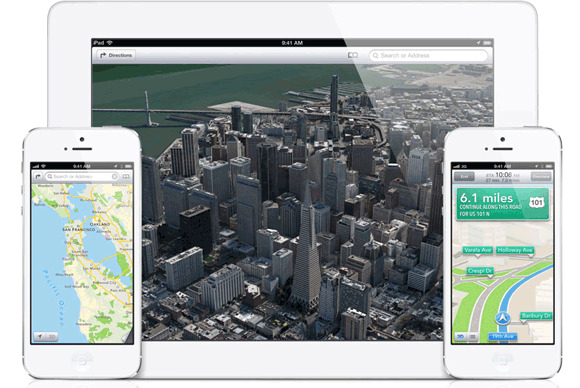 Public transit information was available on iPhones and iPads until the update to iOS 6 in 2012, when Apple replaced Google’s mapping data with its own. The switch proved embarrassing for Apple, not only because of fewer features, but because the data itself had accuracy problems. Apple CEO Tim Cook eventually apologized for the issues, and mobile software head Scott Forstall was reportedly ousted after he refused to sign the mea culpa. Since then, the company has gone on an acquisition spree, snatching up mapping and location firms such as BroadMap, Embark, HopStop, and Spotsetter. Even with new hires, it’s unclear when transit data will become available in Apple Maps. In the meantime, users in need of transit data can look to alternatives such as Google Maps, Nokia Here, and Transit. The story behind the story: Last year, 9to5Mac reported that a major Maps update was on the way, with better data and public transit directions. But those features didn’t materialize in iOS 8. Reports fromTechCrunch and 9to5Mac blamed personnel issues and staff departures. It now seems that Apple is looking to staff up once again and take another shot at the long-requested feature.